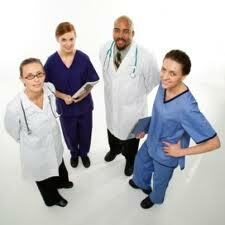 Creating Valid Post-Employment Restrictions for Physicians in Delaware: Yes You Can! Thinking of bringing a new doctor into an existing practice or joining one? Physician groups sometimes believe in error that Delaware law prevents enforcement of post-employment restriction agreements to protect a practice’s substantial investment in advertising and patient introductions for that new physician. An individual physician may assume that such an agreement could be safely ignored down the line. However, Delaware Courts will enforce a carefully drafted agreement that follows strict guidelines. Delaware law does not permit a court to order the physician to quit practicing in a way that competes with a former employer or partner. Rather, it limits enforcement of physician non-compete agreements to those that after termination require payment of damages related to competition due to the physician opening a new practice. Delaware Courts allow parties to agree to the amount of “damages” in advance using a set number or a formulaic approach with factors like a percentage of receipts or profit to determine the amount. These “liquidated damages clauses” as they are called will normally work, so long as they are not viewed by the courts as being punitive and are rationally related to the business’ presumed damages. Any covenant not to compete provision of an employment, partnership or corporate agreement between and/or among physicians which restricts the right of a physician to practice medicine in a particular locale and/or for a defined period of time, upon the termination of the principal agreement of which the said provision is a part shall be void; expect that all other provisions of such an agreement shall be enforceable at law, including provisions which require the payment of damages in an amount that is reasonably related to the injury suffered by reason of termination of the principal agreement. Provisions which require the payment of damages upon termination of the principal agreement may include, but not be limited to, damages related to competition. (6 Del. C. § 2707). What this statute means is that a provision in a contract is not valid if limits a physician’s medical practice for a certain time period within a geographic area after termination of the contract. However, it is permissible for a contract to include a provision requiring a physician to pay damages to compensate a former employer or practice for a departing physician’s competition. This is commonly referred to as a liquidated damages provision, and this type of provision is routinely included in physicians’ employment agreements or in partnership or corporate agreements between or among physicians. Not all liquidated damages provisions, however, are valid. A liquidated damage provision is valid when “(1) the damages which the parties might reasonably anticipate are difficult to ascertain (at the time of contracting) because of their indefiniteness or uncertainty, and (2) the amount stipulated is either a reasonable estimate of the damages which would probably be caused by the breach or is reasonably proportionate to the damages which have actually been caused by the breach.” Tropical Nursing, Inc. v. Ingleside Homes, Inc., 2006 WL 3579075 (Del. Super. Ct. Dec. 11, 2006). In other words, the amount of liquidated damages must be tied to a reasonable estimate of damages to the medical practice if a physician leaves and engages in competition. Liquidated damage provisions are unenforceable if their purpose is to act as a penalty. The provision is a penalty and void where damages are easily ascertainable or the amount set by the liquidated damages formula is excessive. A physician practice may attempt to limit the risk that the triggering of liquidated damages that will be deemed a penalty by not assessing damages on either a per patient or lump sum basis. Instead, the realistic post-employment damages can be expressed through formulaic approach, considering such factors as percentage of receipts or profit. In a future Delaware Healthcare Industry Blog: Top Practice Pitfalls in Non-Competes for Non-Physicians. A murky area is whether physician–hospital agreements are covered by Delaware’s Physician Non-Compete Law, or just agreements among physicians.